Height - 1650mm Chuck size - 16mm Spindle travel - 80mm Speed - 120-2580rpm Potor power - 1hp V.. 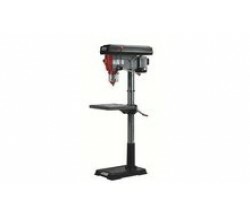 Height - 1710mm Chuck size - 20mm Spindle travel - 120mm Speed - 150-2700rpm Potor power - 1.5hp.. Height - 990mm Chuck size - 16mm Spindle travel - 80mm Speed - 190-3000rpm Potor power - 3/4hp .. Height - 1000mm Chuck size - 16mm Spindle travel - 80mm Speed - 190-3000rpm Potor power - 7/8hp ..